The new Fallsview Sound & Light Show will mesmerize spectators. It uses visual effects with a kaleidoscope of colour and texture treatments, visual transitions, with the addition of dynamic music and sound. The city-facing side of the Oakes Hotel will serve as the canvas for the Festival’s innovative projection lighting technology! 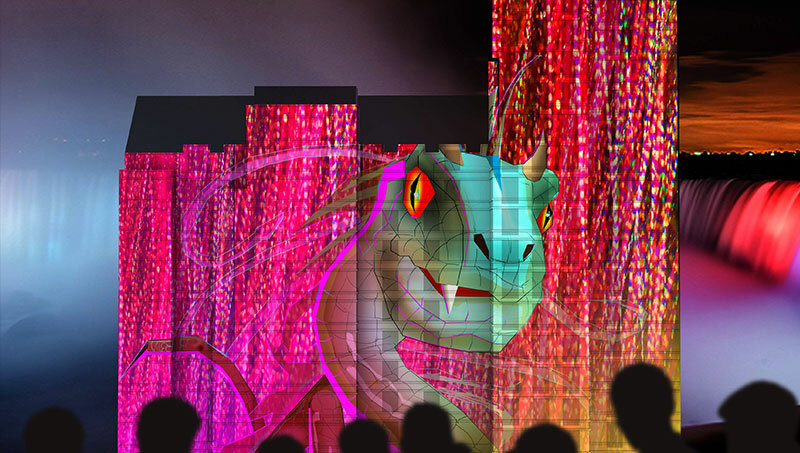 This show is five minutes in length and features stunning visual effects on the largest screen in Niagara!